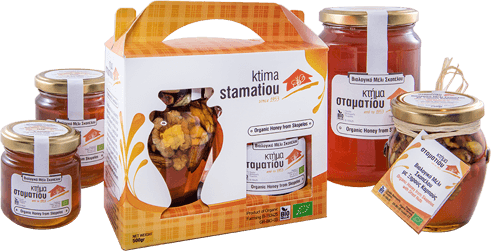 The Apiculture, named after the family business "Ktima Stamatiou", is established in 1953, and now located in Skopelos. Its aim is the production of qualitative bio honey under the firm name of "Bio Honey of Skopelos". It continues its aim by producing pollen, royal jelly, propolis and beehives in the heart of the forest of the island of Skopelos.